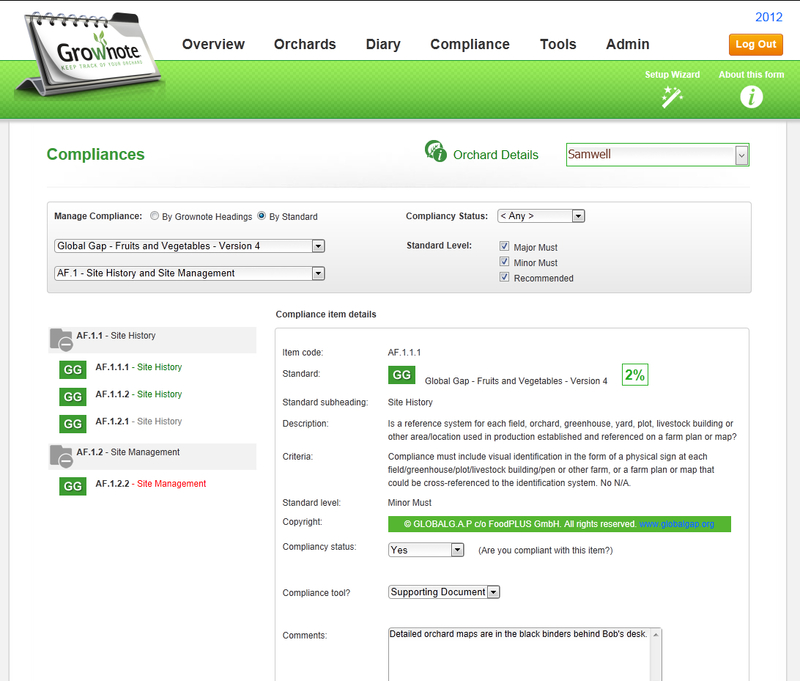 Grownote - a web-based management system for your orchard business, big or small. 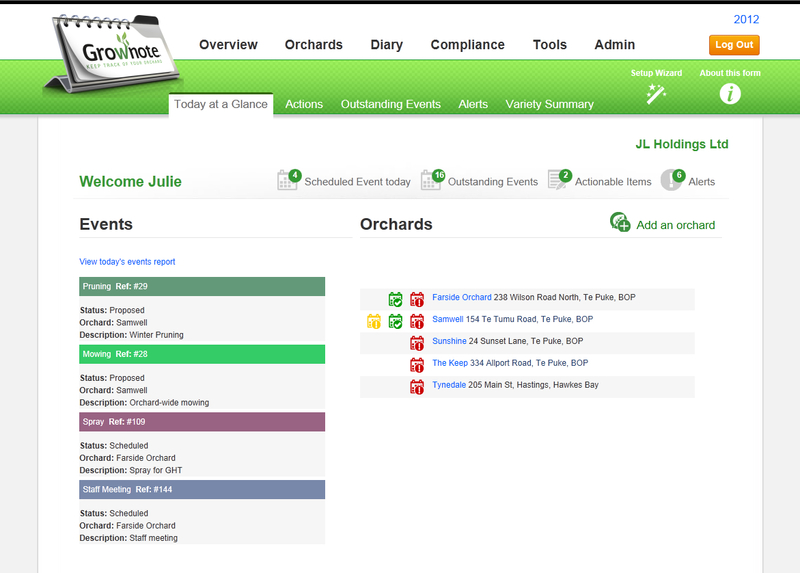 Month, Week, Grid and List views of all your orchard events are available in Grownote’s diary. Get your compliance paperwork organised with our multi-standard compliance system. Keep track of your progress and easily email or print-off your compliance checklists. Add markers, boundaries or labels to your maps or aerial photos. 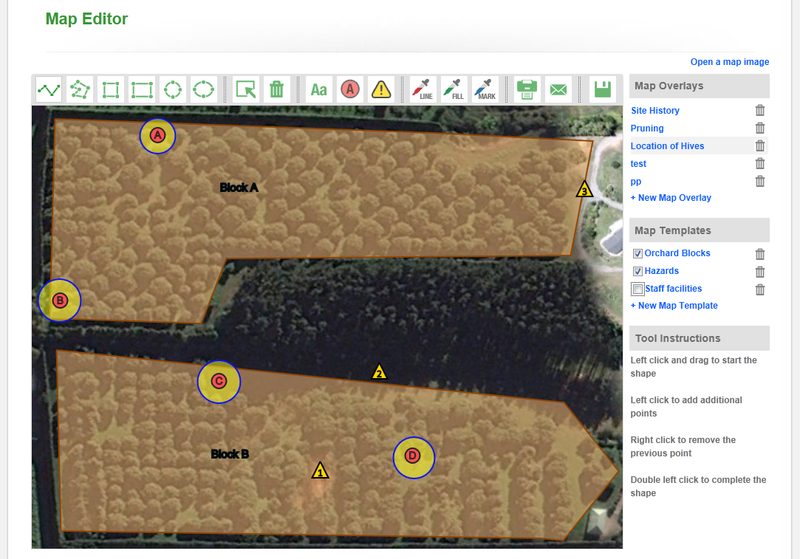 This helps you to give clear instructions or record changes in the detail of your orchards. View all today’s scheduled events, outstanding events not completed, items awaiting your attention and alerts for equipment servicing and safely training. All this in a single dashboard view.